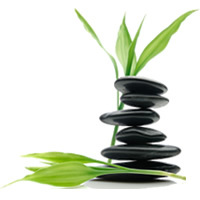 At Simply Natural Therapies we believe you deserve health and happiness. If you’d like a comprehensive, thorough and co-ordinated approach then you’re in the right place. We take the time to listen deeply to you and we make it easy for you to take the steps to be as well as you can be on all levels; mind, body and soul. We understand that finding the right natural therapies can be confusing, overwhelming and sometimes expensive. And we know that most health issues have multiple causes. The benefit of working with Simply Natural Therapies is that we understand that there’s much more to you than your symptoms or your diagnosis. The condition of your mind, body and soul all play a really important role in your overall health and well-being. We aim to take everything into account and address all aspects of your health, happiness and well-being. Our extensive range of Natural Therapies, Classes and Events can help you to reclaim your health and happiness. Suffering from stress, anxiety or depression. Looking for natural therapies or natural remedies to support your health. Struggling with a health issue or chronic pain that doctors and specialists can’t pinpoint. Why not explore the possibilities to reclaim your health and happiness now? We’re here to support you. So what’s your next step? 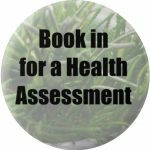 Simply book your Free Health Assessment now….. There are lots of options when it comes to natural health care. If you’ve tried several different therapies but still feel anxious, stressed or unwell, then come see us for a free 60-minute health assessment. Gain control of your Irritable Bowel Syndrome naturally with Hypnosis. Research shows that Hypnotherapy can help you with symptoms of stomach cramps, food sensitivities and bloating. Book for Free Assessment now. Are you struggling with a health issue like depression, anxiety or a chronic health condition? Our Twelve Weeks to Wellness Program helps you navigate our amazing natural therapies for overall health and well-being. Call us now to book your FREE 60-minute Health Assessment and begin your journey to wellness 03 9842 7033.